Can I Check a Download for Viruses before I Download It? - Ask Leo! 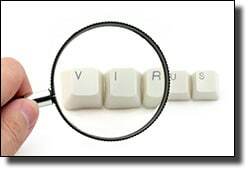 Files cannot be checked for viruses before being downloaded, but there are precautions you can and should take. I’d like to prevent viruses from ever reaching my machine – can I test them before they’re downloaded? And if so, how? But there are definitely precautions you can, and should, take that will allow you to deal with downloads safely. Download only from sites you trust. I know this is kind of vague (how do I know what sites to trust? ), but in general that means that downloads from major hardware and software vendors, major shareware site and other reputable companies. If you’re not sure, Google them to see if other people are experiencing trouble with downloads from that site. Always download, and never run any download. For example many programs for Windows are provided as a downloadable “.EXE”, or executable file. The default action for a “.EXE” file is to run it … meaning that the program contained in the .EXE would be allowed to run and do whatever it might want. Instead, download the file to a directory on your computer first, so that you can take the next step. Scan the download for viruses before installing or running it. Most anti-virus packages have the ability to scan a single file, or perhaps a single directory. Use that to point at the file or the directory you’ve downloaded your file into, and do the scan. Make sure your anti-virus scanner’s data base is up to date.. Consider an anti-spyware scan as well. Assuming your anti-virus software reported no problems, install, run or otherwise use the download. If you have reason to be paranoid, it often makes sense to re-run the anti-virus scan and the anti-spyware scan after you’ve installed your download. The bottom line is that a download must be on your machine … before you can check it for viruses. So what if your download shows up as being infected? First, delete the copy you just downloaded immediately, so that it doesn’t get run by accident. If you can, see if you can find the same download from another source – sometimes malware is present only in some of the downloads of a particular piece of software. If you can’t find a clean download – please don’t fall to the temptation of installing it anyway – it’s not worth the risk unless you really know what you’re doing. Contact the supplier or manufacturer of whatever it is you’re downloading and report the issue to them. If they’re at all reputable, they’ll deal with the issue quickly. « Previous post: Why Won’t My System Recognize My USB Device? Doesn’t change the fact that the file must be downloaded in order to be scanned. no files are downloaded to the local machine… u just send a link to a server that downloads and check for you. In my opinion, this is what “on-access-scanning” means, as claimed by e.g. Avast Antivirus? Actually you can scan a file before downloading it. DrWeb is a program that scans the file at another location other than your PC. Meaning, you never have to download the file to scan it. I would like to download graphic design software from piratebay, like Adobe Photoshop, Illustrator, InDesign, CS4 version (software from the “creative suite” from Adobe (for Windows). From your experience, have there been major complaints about bad viruses, malware etc regarding this software on piratebay? Thank you and best of luck with your good work. Pirate software is not only illegal, it is often full of malware. It’s very easy to discover the IP addresses of people uploading via torrent files. (If you download, you are also uploading) as a list of the IP addresses are displayed by the torrent program which the owners of that software can check and get the courts to get the ISP to turn over your name and address. A friend of mine had to pay about $1200 for an illegal download. Why can’t the poor just pirate software? Howdly Doodly! Of course you can with Dr Web. I wish everyone a Waddly Happy Doodly Easter! You recommend SAVing a downloaded file vs RUNning a downloaded file. I agree. Then you recommend running an AV scan on the downloaded file. Why do that when one’s default AV program does a scan as part of the download? Wouldn’t this be two identical scans? I do agree that post-download rescans would be beneficial if scanned with another program — kind of like a second opinion, or applying a different type scan (Malware scan vs AV scan). I second use of VirusTotal.com for suspect files – though that’s an UPload of a DOWNloaded file. VirusTotal scans uploaded files with 50 or more anti-virus programs and gives the results. It also tells if that file had been uploaded before. With so many scans the probabilty of false positives are increased, but better safe than sorry with unknown downloads. VirusTotal is also a good way to get new virus’ into AV databases, certainly upload the ‘receipt.pdf.exe’ file you received in spam! I am a low-tech computer user but I read Leo’s articles with interest. The word which springs to my mind in relation to this query is – sandbox. Does running a downloaded program in a sandbox help to protect my computer in the circumstances described? If not, what is a sandbox for? It depends on the specific sandbox being used, but yes, that’s essentially one good use of the technology. Re the scanning after download. With Windows Defender/Essentials and most if not all AV programs you can right click on the file in Windows/File Explorer and have it scan that file for malware using whichever AV program you have.